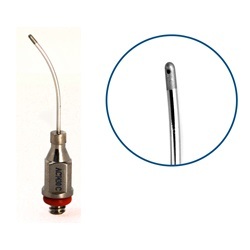 Reusable Bimanual Aspiration Cannula Tips come in 21 gauge or 23 gauge with a curved shaft. This is only the tip not the whole unit. 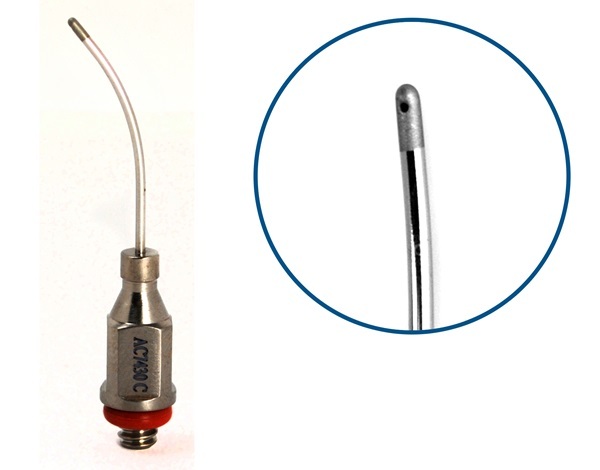 Each tip has a sandblasted capsule polisher tip with a single 0.3mm sideport. Overall length: 21mm.